After purchasing this deal, you will need to visit your local Costco warehouse with your printed Groupon voucher to complete redemption. A Gold Star Membership card grants freedom to purchase products at any Costco warehouse around the world, as well as from Costco.ca. Members also receive a free spouse card, to be used by a spouse or family member aged 18 or older living at the same address. This Groupon is valid for new Costco memberships and memberships that have been expired for more than 12 months. Valid at Canadian Costco locations only. Membership will be subject to applicable taxes. After redemption, purchaser must follow redemption instructions on voucher to redeem in warehouse. Promotional value expires Feb 4, 2019. Amount paid never expires. Valid at Canadian Costco locations only. If this voucher is not redeemed at Costco by 2/3/2019, the amount paid for your voucher will be automatically refunded by Groupon. Limit 1 per person. Cannot be combined with other offers. Must pay applicable taxes when claiming membership. Valid only for new members or those that have been expired for over 12 months. Redeem in-warehouse. Not valid for renewals. View additional terms. Information submitted to the Costco.ca website and Costco membership is subject to Membership Conditions and Regulations and to Costco Wholesale Canada Ltd.’s Customer Privacy Statement. A raincheck may be issued if the promotional item is out of stock during the term of the promotion. Merchant is solely responsible to purchasers for the care and quality of the advertised goods and services. Offer is not eligible for our promo codes or other discounts. 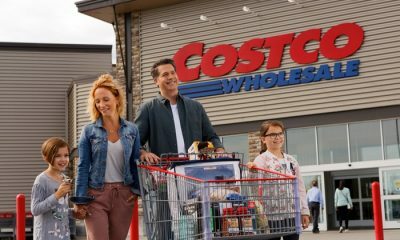 With 50 million members and counting, Costco has established itself as one of the world’s leading not-so-secret clubs. And, like all great clubs, it had humble beginnings under a different name in a repurposed airplane hangar. That first club—Price Club—formed in 1976 and was intended to serve small businesses. Later, the company expanded to pass on its wholesale-style savings to everyday people who joined as members. Today, there are hundreds of Costco warehouses worldwide, each stocked with food, decor, electronics, apparel, and almost every kind of household item. Members can browse products from top-quality name brands, as well as a wide variety of goods from Costco’s own Kirkland Signature line. Many Costco locations are a one-stop shop, offering a gas station, optical centre, photo centre, and tire centre.